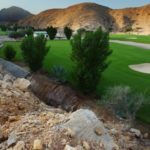 Following in the footsteps of Dubai, Oman is quietly attracting the attention of the international golfing circuit, but without openly becoming part of it. This is what makes it an ideal golfing destination at the moment. It has the resources and facilities to become a world leader in golf, but currently your tee times don’t have be booked months in advance and you won’t be fighting everyone else in the world interested in a golf holiday to get a reservation at a nearby hotel. 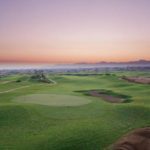 Muscat Hills: The greens are beautifully manicured and the shape of the land lends itself to some interesting shots. 18 holes. 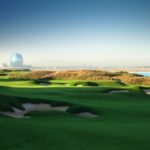 Almouj: This is a very exciting course with lakes and islands. Manufactured sand dunes give it an extra edge. There are 2 courses and 27 holes here in total. Ghala: There are dunes and ponds here too. The course is enjoyable for beginners and experts alike. 18 holes. 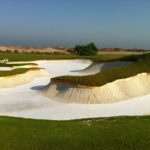 Dunes by Al Nahda: A great little course. 9 holes. Al Maha Golf Club: Very well kept and a joy to play. 18 holes. There are plenty of luxurious hotels to choose from in Oman, particularly near Muscat. 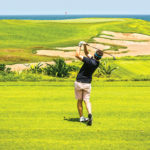 Whether you’re in Oman for business or pleasure, you can spend your days playing golf in the warm sunshine, in view of the Gulf of Oman, before discussing your prowess on the green over lunch. If you’d like to take full advantage of a Oman Holiday package, complete with tours, excursions, accommodation, food and of course, golf, please get in touch with the Aspen Travel team. 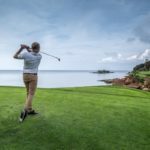 Not only do we have years of experience in booking golfing holidays around the world, we can help you swing your club in the direction of Oman.